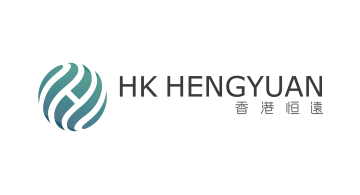 HK HENGYUAN LIMITED is a leading financial technology company in Hong Kong, one of the four major international financial centers. We are dedicated to providing customers all over the world with zero-risk, high-efficiency, low-cost foreign exchange and international payment services. Thanks to continuous innovation and strict self-management, we have agreed to strategic partnerships with several outstanding international financial institutions and plenty of top-ranked domestic financial institutions. We adhere to the philosophy of high-quality service and meanwhile endeavor to constantly upgrade our products and optimize our industry solutions. We have obtained the “Licence for Operating Money Service” (license number: 18-01-02310) issued by Hong Kong Customs and Excise Department (CED), which enables us to conduct money service related business legally. Considering that the payment industry is at high risk of being used for money laundering or terrorist financing, we have developed an Anti-Money Laundering Program to make our businesses in compliance with the applicable laws and regulations of CED and other law enforcement agencies.